The BOSU Balance Trainer debuted in 2000 and quickly became one of the most successful fitness training products in the world. Originally, the name BOSU was an acronym for "Both Sides Up". 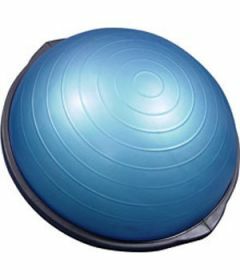 It meant that the BOSU Balance Trainer could be used on either side, the dome or the platform.